Getting a new puppy can be so much fun! When we got our puppy Rowan my family and I were so excited. We couldn’t wait to play with him, take him for walks, and just enjoy all the fun things puppies do! But one major thing I forgot about was the potty training. As most know, potty training a puppy is no fun. Having our last dogs for so long it’s a step I completely forgot about. But once we brought him home we were instantly reminded of the wonderful stage of potty training. 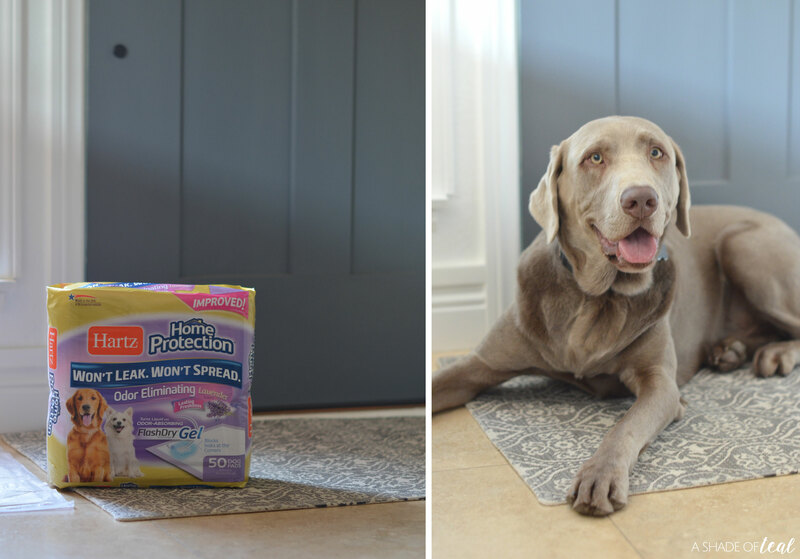 But lucky for me I had him potty trained in a couple of days with these Puppy Potty Training Tips that Work! Here are my tried and true tips that I find to work best when training a puppy. 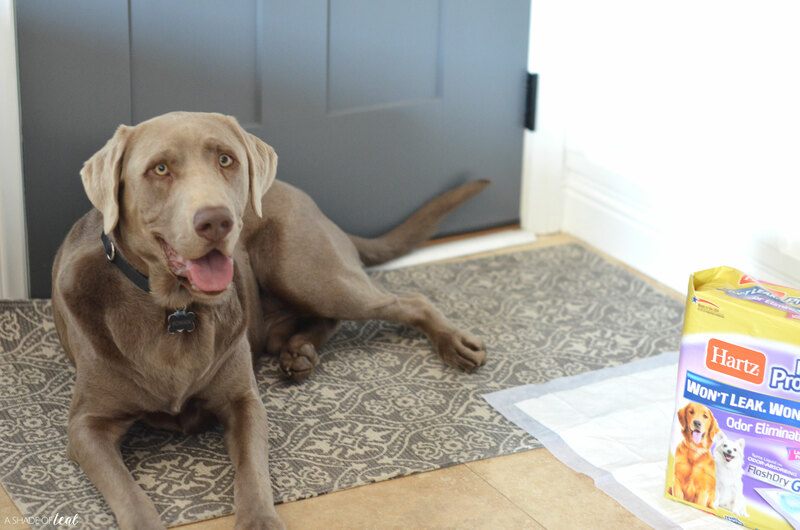 From the moment you bring them home, creating a routine for your pup is important. Start by taking them out to go potty first thing in the morning, then feed them, then potty again, etc… If you repeat the same actions every day they’ll quickly learn to recognize these things and hopefully learn when they can go potty. 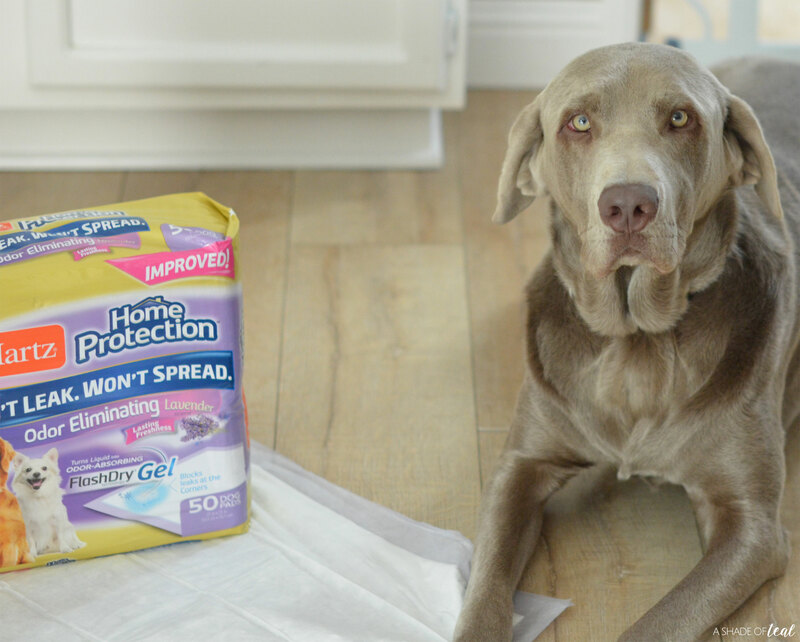 I learned right away that the right product matters, that’s why I only used Hartz Home Protection Dog Pads. They’re designed with six layers, and the FlashDry® Gel technology locks in moisture while also allowing for multiple uses. That means you don’t have to quickly throw it away after your puppy uses it. Plus, it has an odor eliminating capability which instantly eliminates odors and contains a fresh lavender scent that actually smells good! 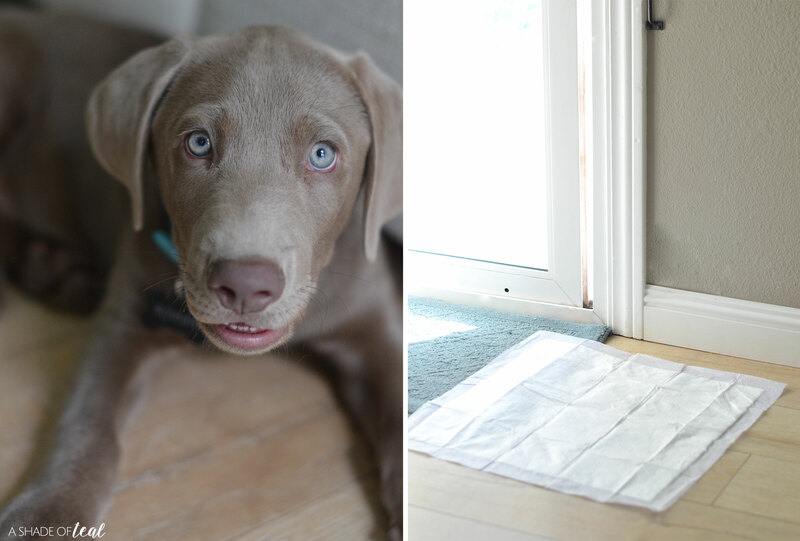 When you setup a routine you’ll also want to setup a space that your puppy can go potty inside. I would setup some of the Hartz Dog Pads by my slider and my front door. I chose these areas since we ultimately wanted him to recognize to go to the door when he needed to go potty. Rowan quickly learned that when he needed to go he would head to our slider which lead to the backyard. 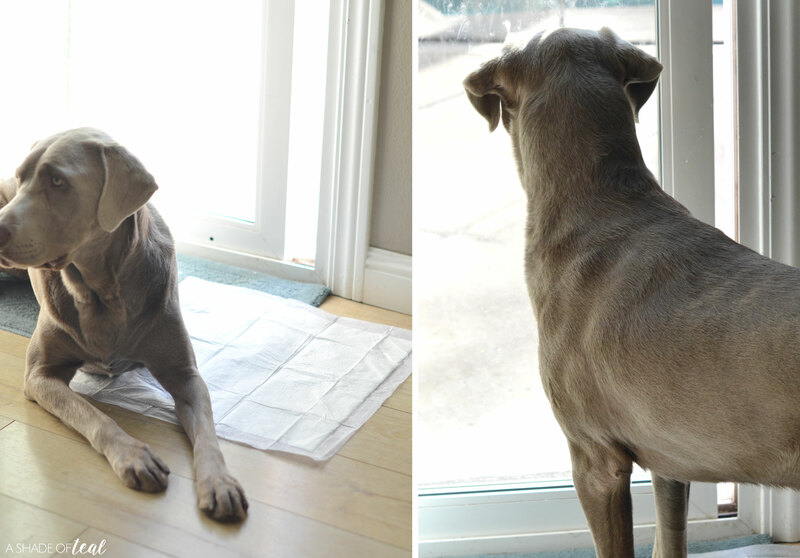 He typically would stand by the door and start to whine a little or put his nose to the glass to let us know it was time. But, if we couldn’t make it in time to let him out back, we always had the Hartz Dog Pads there ready to go. 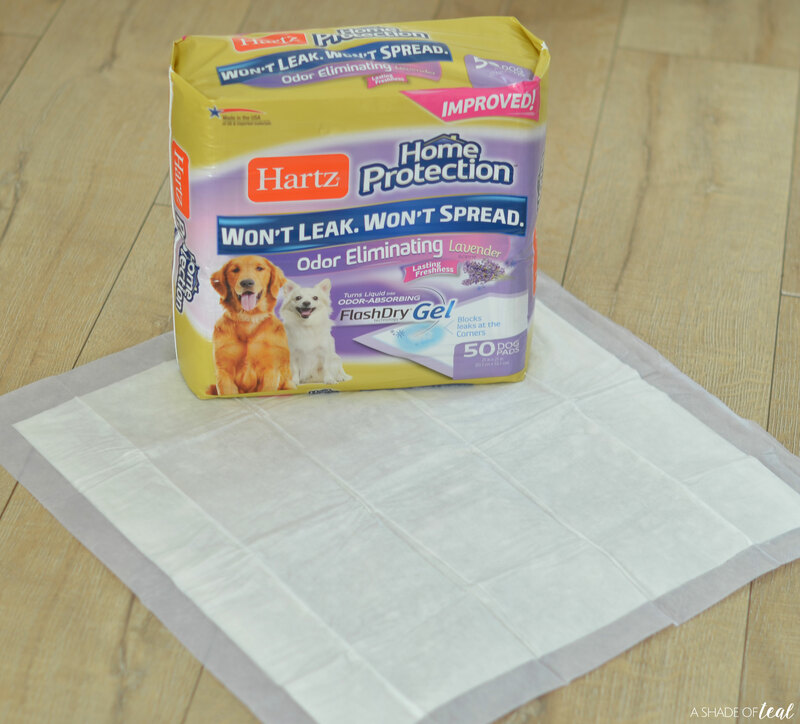 And what’s so great about Hartz Dog Pads are that they use unique, patented FlashDry® Gel technology, which instantly turns liquid into gel. That means you don’t have to worry about the pads leaking or having unpleasant odors. Finally, the most challenging step to puppy potty training is to be patient. 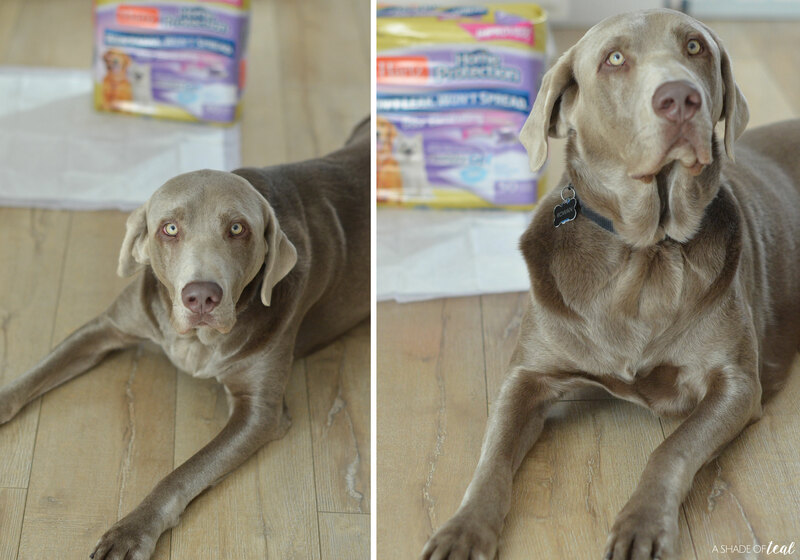 Some puppies pick up potty training easily, while others may need a little more time. But even when you think they got it an accident is bound to happen. Just remember to not get angry and instead make sure you reward the positive. 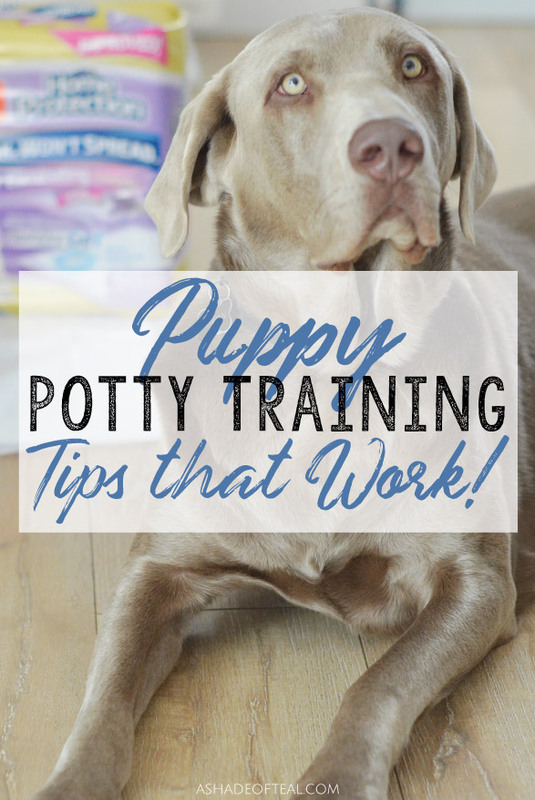 I hope these tips help you with your puppy potty training. Just remember the puppy stage goes by so quick, so enjoy it all! You can pick up Hartz Dog Pads nationwide at Walmart, Chewy.com, Amazon and at your local grocery store.